You are here: Home 2015 June Its your money, so you might want to know. Most vaccine-aware groups are avoiding exposing the CDC. Most legislators are still unaware of the hard-care corruption ever present in that institution. Unless we expose them, most physicians, legislators and the general public will take their recommendations as science-based, which they are not. The evidence against the CDC is overwhelming, yet the vaccine-aware community can’t seem to agree that exposing them is an essential part of stopping their ever expanding efforts to mandate that ALL people be “fully vaccinated” by 2020. If we don’t expose them it is likely that we will all become their victims. As more and more ”˜vaccination’ propaganda appears in the main stream media, it is crucial that the American people become aware of the outrageous scam the CDC and the medical industrial complex are running. 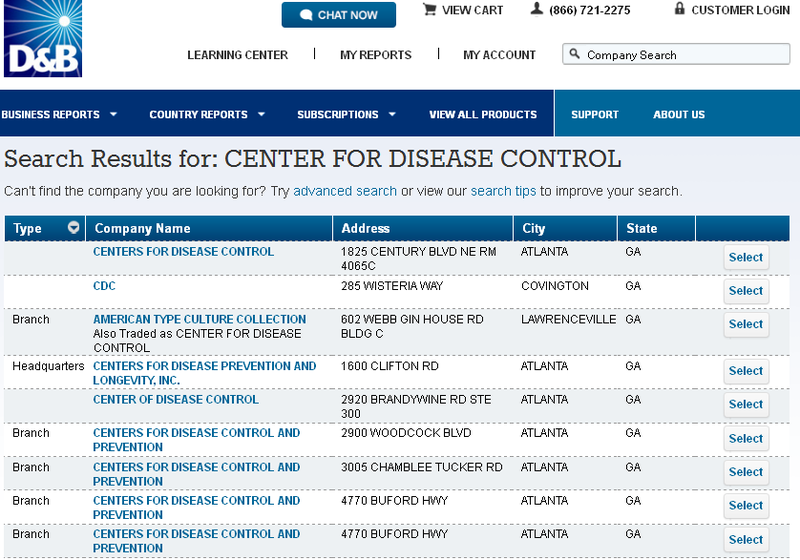 It is important to understand that the CDC is a for-profit corporation listed on Dun and Bradstreet and partnering with Big Pharma. The Center for Disease Control is a rogue institution engaged in the destruction of the health of the American population . . . While most physicians and public health workers may be unaware of the depth of the cover-up regarding vaccines, the harm they are causing is incalculable and the damage being inflicted on us and our children is devastating. Since the illnesses or injuries caused by toxic vaccines frequently don’t show up for weeks or even years, the medical industrial complex maintains plausible deniability. Many good physicians have come forward (like those affiliated with the International Medical Council on Vaccination) and exposed the dangers of vaccines as have CDC whistle-blowers. The truth is everywhere. All that is needed is for folks to educate themselves and join the many good people (professionals and non-professionals) working to get the truth out. In March 2011 an investigation by scientists exposed that the ”˜UK government’ had been covering up the harmful effects of vaccines for the past 30 YEARS. Their study, “Health Hazards of Disease Prevention” was presented to the British Society for Ecological Medicine. It exposed that the UK ”˜government’ ” . 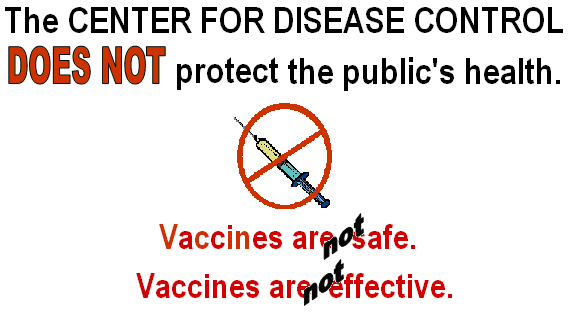 . . made continuous efforts to withhold critical data on severe adverse reactions and contraindications to vaccinations from both parents and health practitioners in order to reach overall vaccination rates which they deemed were necessary for “herd immunity”, a concept which with regards to vaccination, and contrary to prevalent beliefs, does not rest on solid scientific evidence . . .” The same is true in the UNITED STATES. Then to ”˜seal the deal’, the US Supreme Court decided in 2011 (Bruesewitz v. Wyeth) to grant big pharma immunity from liability even if their products were knowingly contaminated. Neither the Food and Drug Administration nor the Center for Disease Control answers to the American people or the health practitioners who provide medical care for the general population. We have nothing to say about who these so-called agencies hire, which researchers they consult or what policies they establish. They simply do not work for us!! These so-called institutions are listed as corporations on Dun and Bradstreet, therefore their first and foremost obligation is to their own “fiscal health”, as is the case of all corporations. Corporations cannot make laws for living men and women. Their employees can only make rules for their own entity. The way they implement their corporate rules on the people is through civil contracts. Our public schools who attempt to make vaccines a requirement for admission are also merely corporations listed on Dun and Bradstreet. 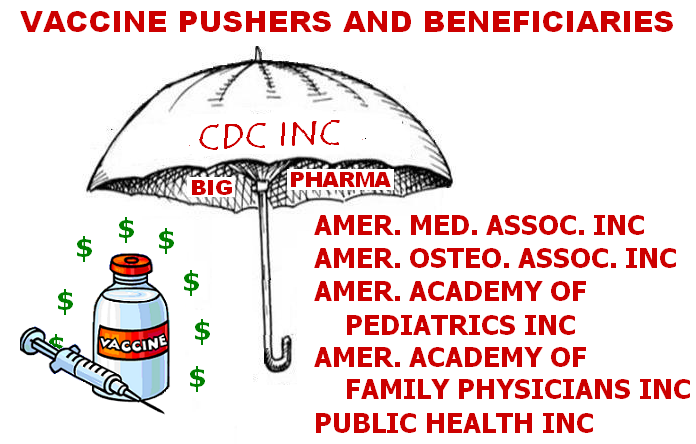 Vaccine mandates are voted on by the STATE LEGISLATORS, who represent the STATE OF . . . .
* To view a table of this structure, go to Our Government is a Corporation. As STATE LEGISLATORS (with no medical training) are being lobbied to revise state statutes to make it increasingly more difficult to opt out of mandatory vaccines, the vaccine-aware community needs a new approach. If the US Constitution and/or the Bill of Rights could protect us from mandatory vaccines, they would have stopped mandating them long ago. What we are now all experiencing is corporate statutory law (rules, regulations, fines, fees, etc) being enforced against the American population. * Go to What is our Government . . . Really? It is this corporate/statutory/contract legal (not lawful) system that must be exposed, defeated and abolished. And, don’t look to any attorney to help us. This legal nightmare was created by BAR attorneys and it is ”˜they’ who profit from it . . . at our expense!